Do you own or operate a business in Tauranga? Contact our Fire Protection Services Tauranga team today and make sure your organisation is prepared for an emergency. Though the regular maintenance of handheld firefighting equipment, you can ensure that your employees have protection during an emergency. Most small fires can be controlled before they cause harm or damage to your property. Save lives and repair costs by investing in our services today. You can rest assured that your business is compliant with local legislation and OHS law. We’ve developed all of our services based on the statutory testing requirements for businesses in New Zealand. Each test we conduct is in accordance with the latest New Zealand Standards. Our aim is to help you make sure your business is as safe as possible and fully compliant with local law. Our technicians are trained in electrical safety testing and fire safety. This combined knowledge of the safety industry helps us serve your businesses comprehensively. You don’t need to contact businesses all around town to take care of your workplace safety requirements. Simply contact Jim’s Fire Safety today and we’ll take care of the rest. 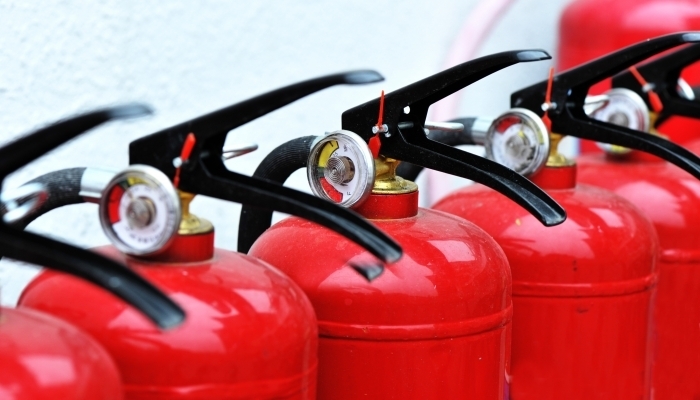 One of our most popular testing service is fire extinguisher inspections. Fire extinguishers are an ideal first line of defence when dealing with small domestic and workplace flames. If you can get the fire under control in its early stages, you can minimise the chance of damage and harm. To make the most of your equipment, find out how to use a fire extinguisher safely prior to operation. Our Fire Protection Services Tauranga team test and inspect portable and wheeled extinguishers in accordance with the NZS 4503:2005 standard for Hand Operated Fire-Fighting Equipment. According to this standard, your equipment must be tested at least once every 12 months. This time frame could be less (depending on the nature of your business). We recommend a 6 monthly interval in most businesses. There are further tests that need to be conducted every few years. To find out exactly what tests you will need and when you need them, contact our team now via phone or fill in the free quote form on our website. Your Tauranga technician will be in touch to discuss your needs. After we’ve worked on your property, we can take care of your future testing requirements by putting your details in our system and sending you a notification when your next test is due. We’ll also keep a copy of your test results in our system just incase you ever need to access a copy. If you have any questions about our services or if you’d like to schedule a service, call us on on 0800 454 654 today. One of our Fire Protection Services Tauranga team members would be happy to have a chat about your specific business requirements.